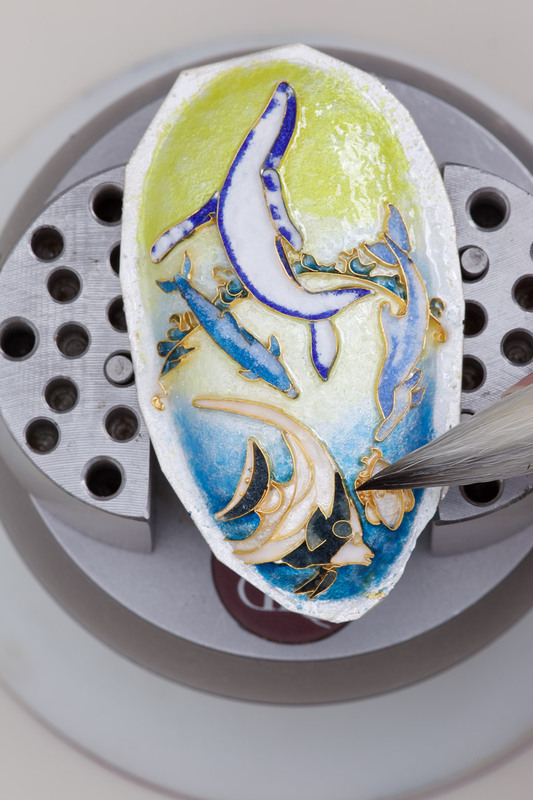 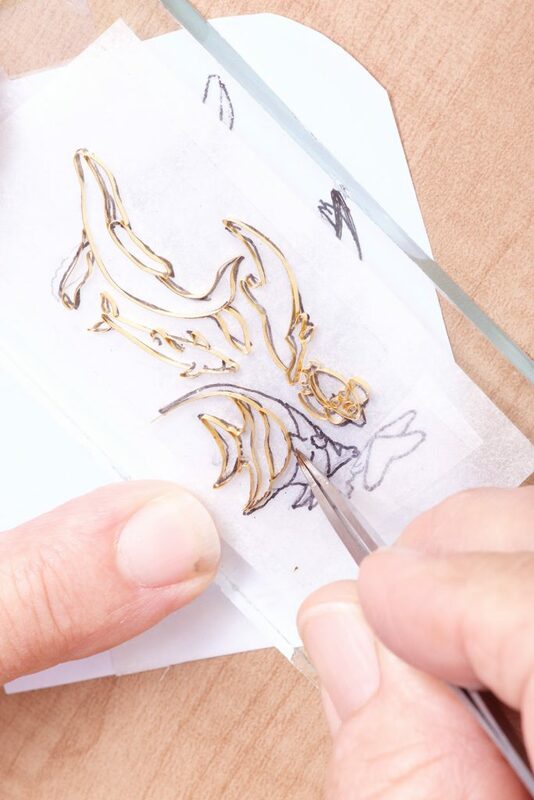 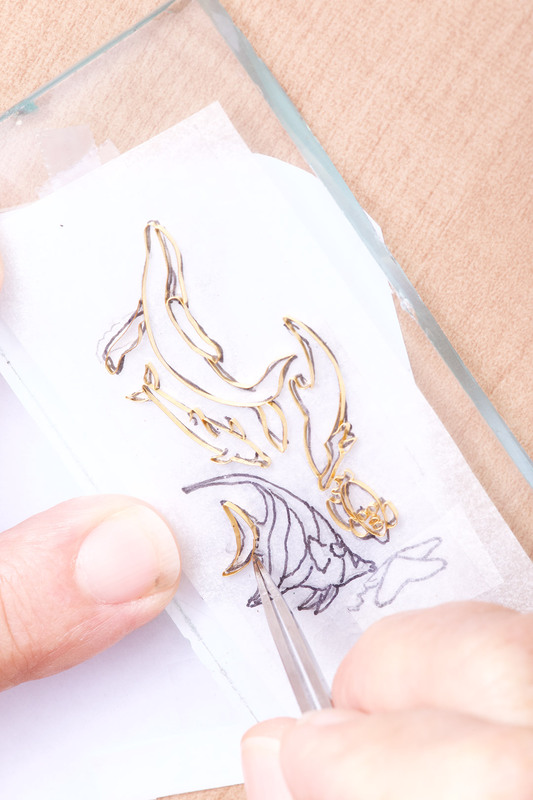 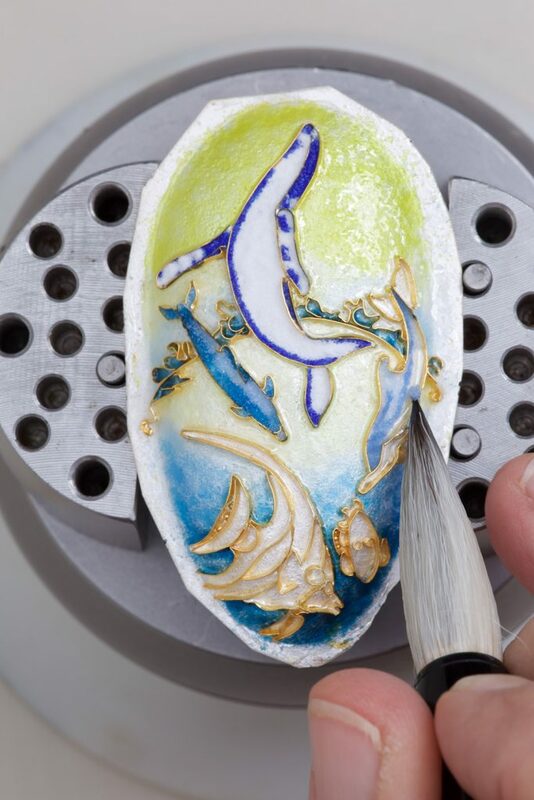 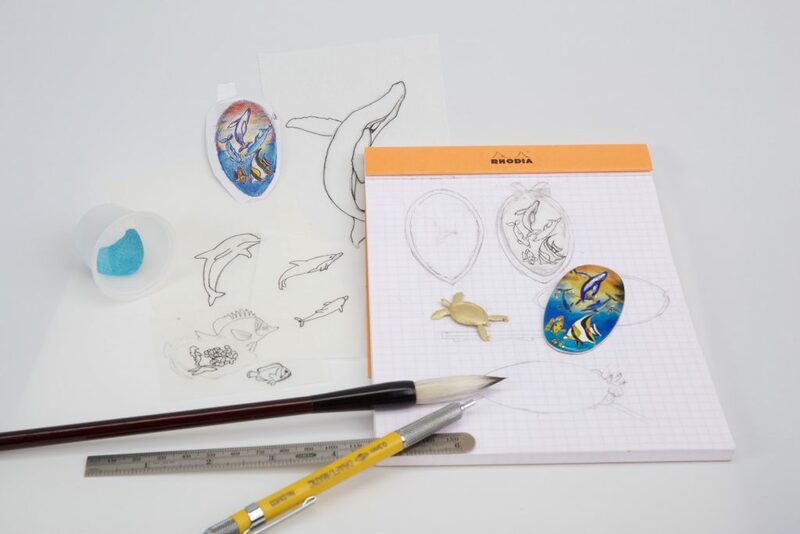 Watch the Process of Cloisonné Enamel. 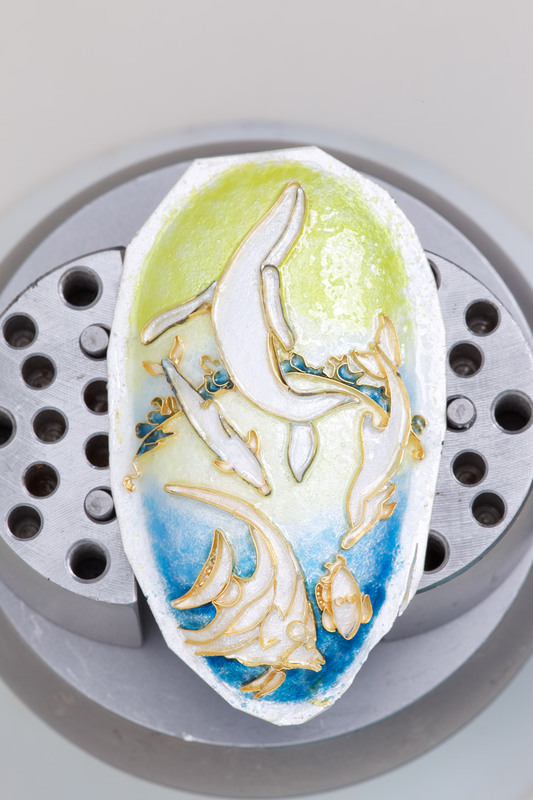 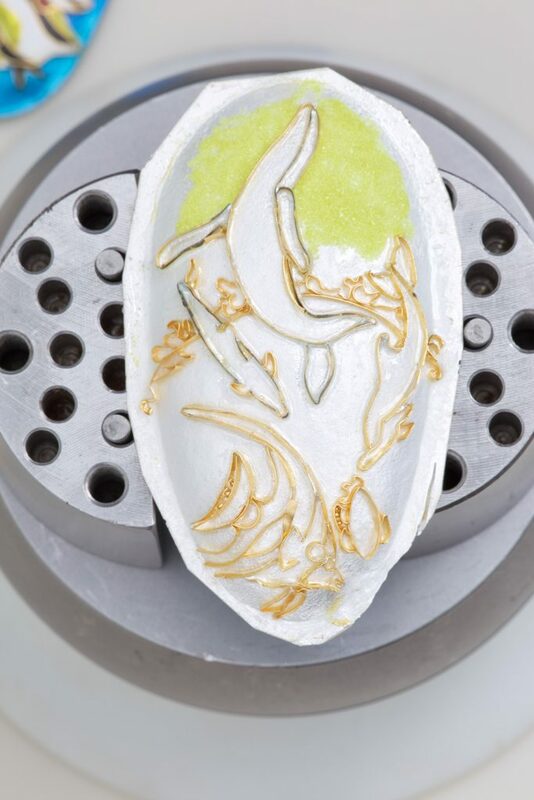 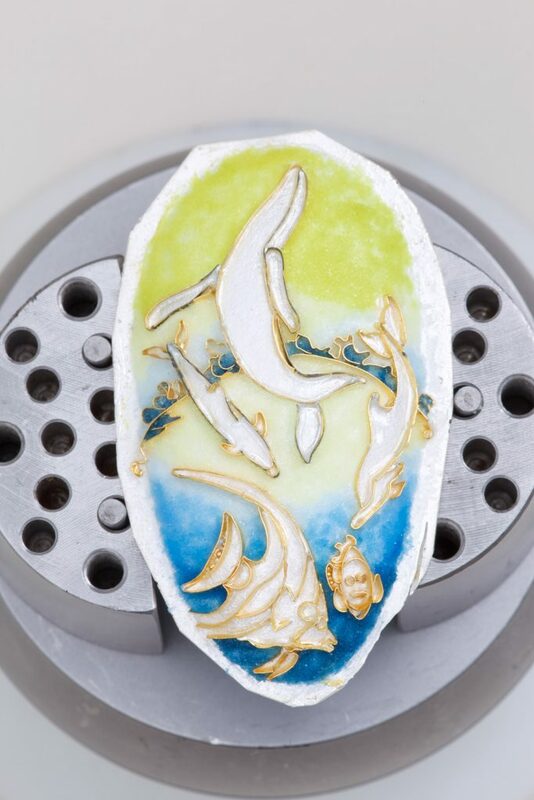 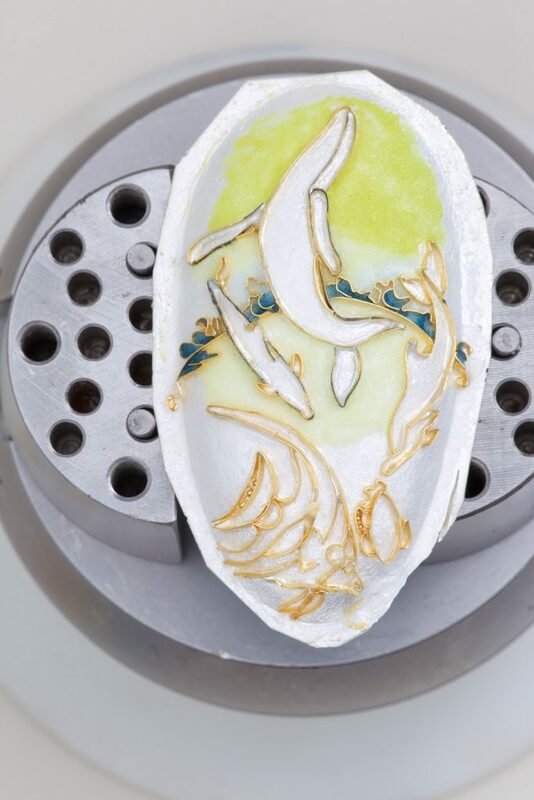 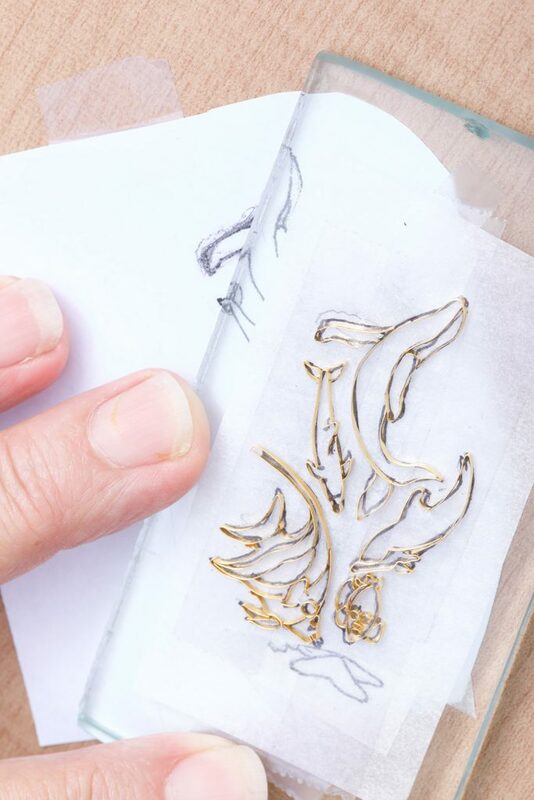 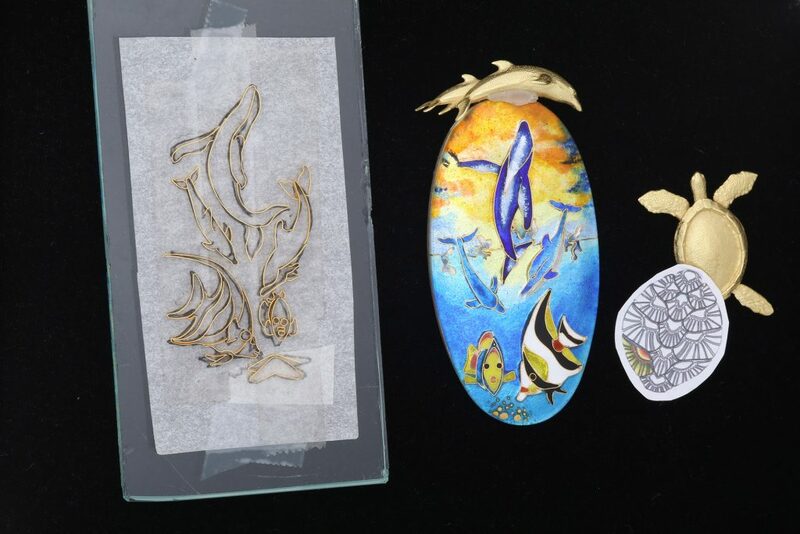 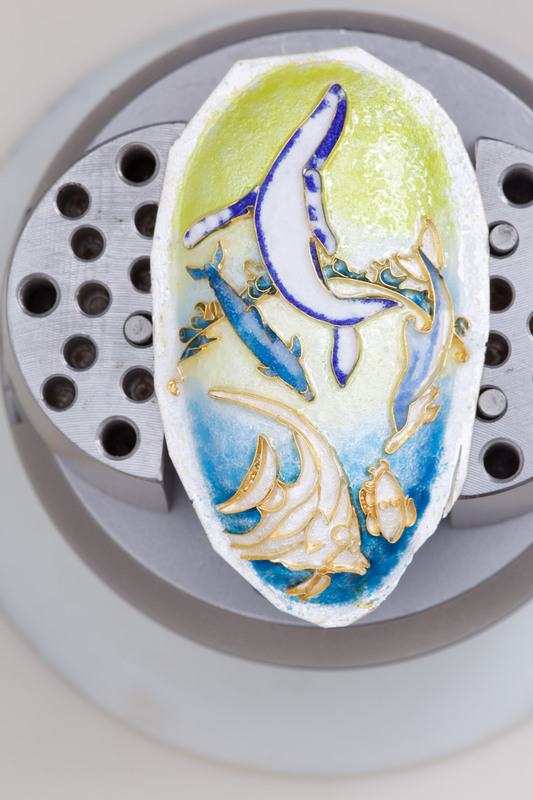 Here you can view a slide show of the process I use to create cloisonné enamel jewelry. 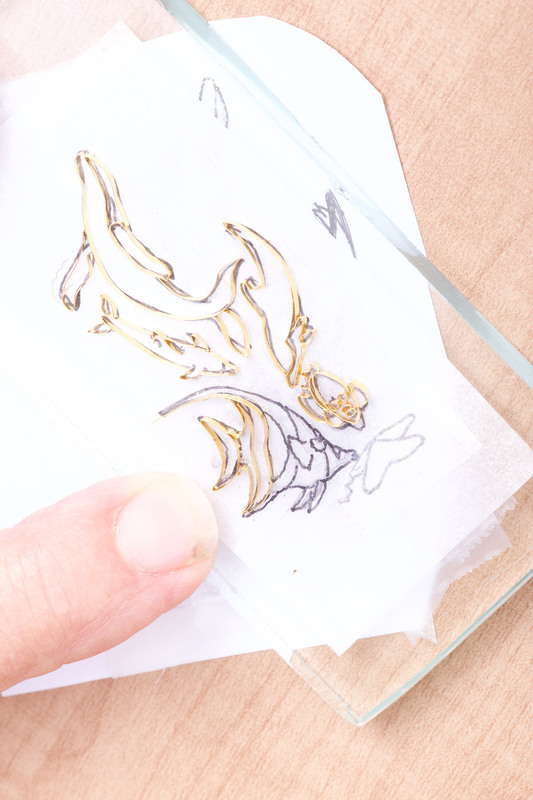 First some drawings, which lead to a few water color paintings. A painting, which might take several hours, a jewel in cloisonne takes days. And you can not erase the enamels to try a different color, so making your design watercolors is a great way to begin. 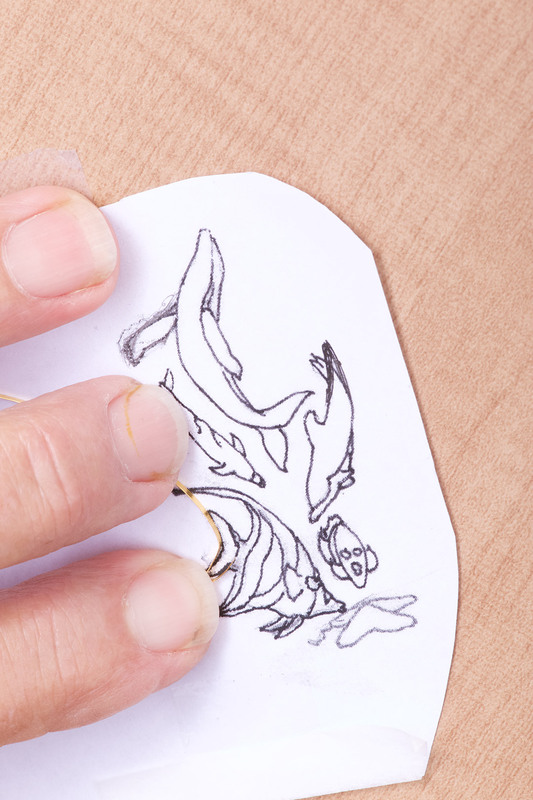 The drawing you see here also becomes a pattern to use to shape the wires of 24k gold. 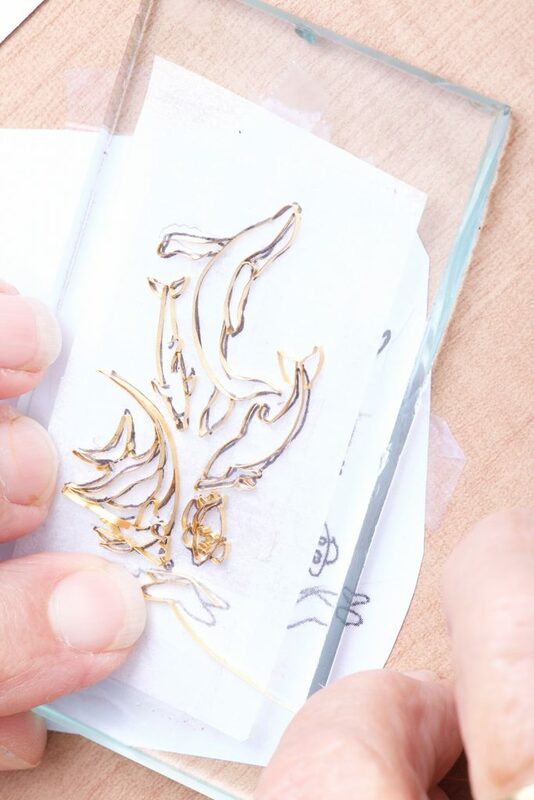 These wires form “cells” and the cells are filled with enamels to create the colors you see in the jewel. 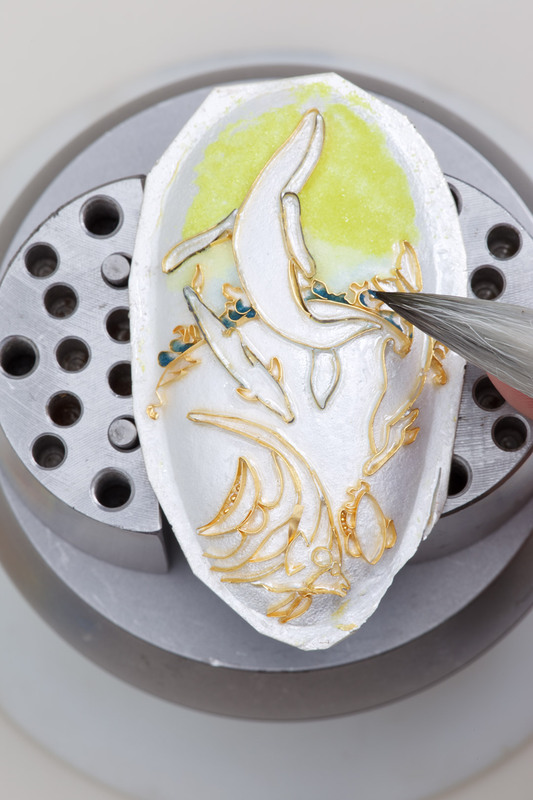 Layering colors of paint can be similar to layering colors of enamel, but sometimes laying colors of enamels next to each other to create a seamless gradation of color is best. 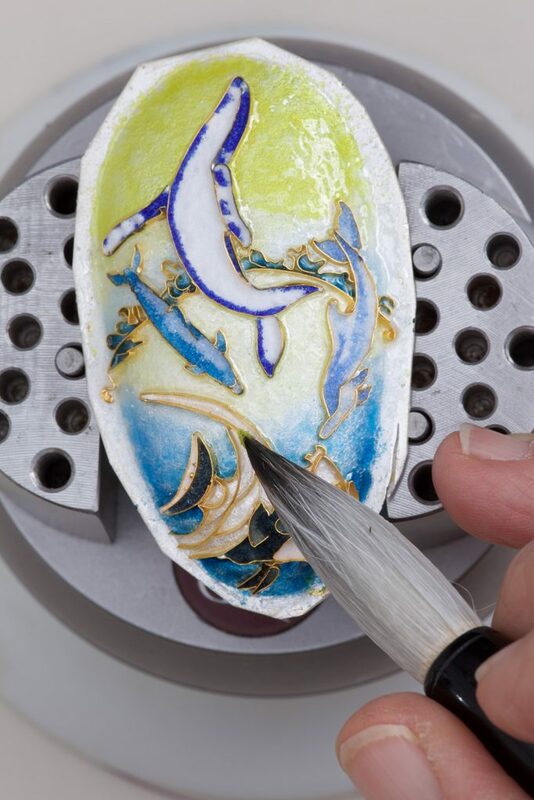 All in all there are many years of practice and testing to learn the process of cloisonné enamel well.